Right from the start everyone is giving the Chicago Cubs a huge boost, being tied with the San Francisco Giants as the top contenders to win the next World Series. However, despite having such good odds, the Giants are not really happy with its placement. With the previous winner, KC Royals being placed further down the list than the opponents they beat to win the 2015 World Series, the New York Mets. 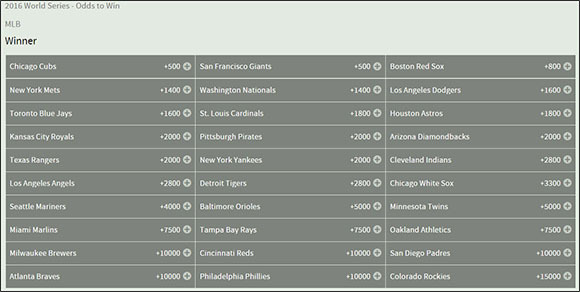 The main reason some of the sportsbooks are giving such amazing odds to teams like the Cubs and Giants is to balance things out. With the amount of fans that saw their favorite team almost make it last season, they believe that this year they will certainly go all the way. With the amount of money that is being bet on these teams is ridiculously high, making it seem to be the best way to go. For those fans with a more realistic perspective, could see that other great teams could give them much more bang for their buck down the road, as we have seen year after year how over-hyped teams falter. Checking out which teams will be drafting or signing certain strong players should give you a better indication of which has the better chances, regardless of what the odds say. 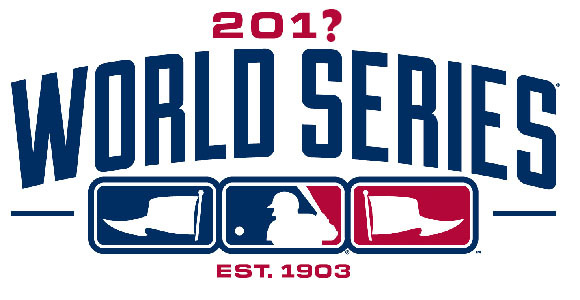 We use the odds to simply calculate how much money we will make after celebrating the 2016 World Series winners. For now, see which teams are being hyped and which ones have no chance no matter who they draft, and in the end, Futures are always a long form of betting, so have fun with it.